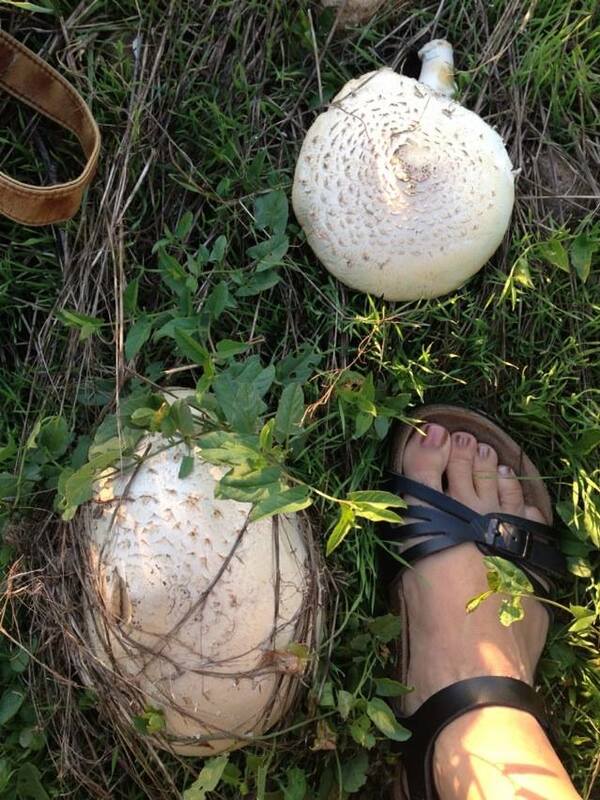 We get occasional explosions of mushrooms in our yard, but nothing that size! Actually, what people have to realize is just how tiny Tina’s feet are!! and how big her …. world is, no really I meant world honest! 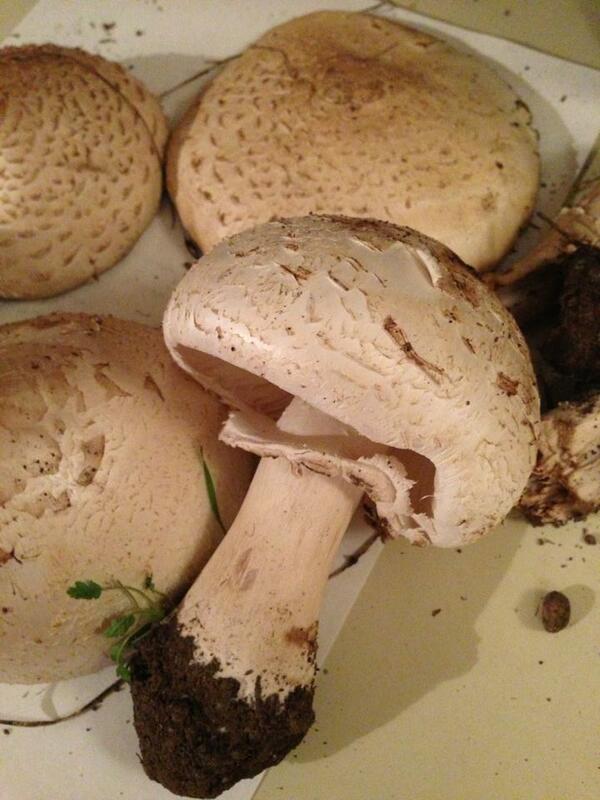 Agaricus Agustus! Delicious, like almond essence. Damon, I wish. The myco folk here think it may be Green-spored Parasol instead (not so pleasant after eaten).